At the Lutheran Home, our residents are like family. Everyone who works here is genuinely committed to providing the highest quality of care. You will see evidence of that every day. 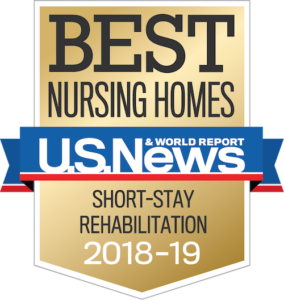 From the moment you are warmly greeted at the reception desk, to the housekeeper who takes pride in how our campus looks, to the caring nurses and aides who provide the hands-on care…we go beyond care to caring. Each resident at the Lutheran Home will have a personalized plan of care based on an individualized assessment. During the assessment, information is gathered from the resident, family, and physician, and a care plan is developed that maintains one’s optimum level of independence, health, safety, and well-being. Three meals per day and snacks as desired. Ability to modify consistency and adherence to special diet needs under the supervision of a registered dietitian. Contact Client Relations at (414) 326-3398 to learn more about accommodations and admission.